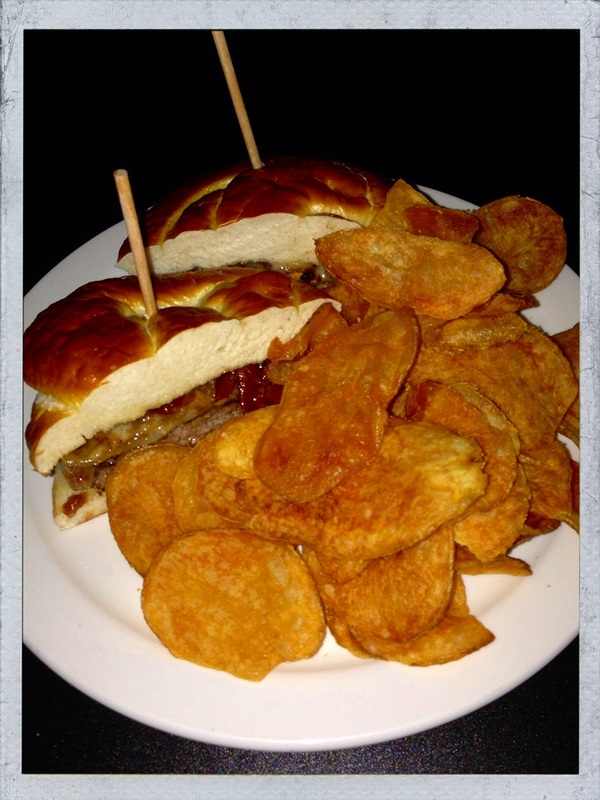 I have never been more excited about a restaurant review than I was about Blackie’s Bull Dog Tavern. Why? Chef Angie Armenise, of course! 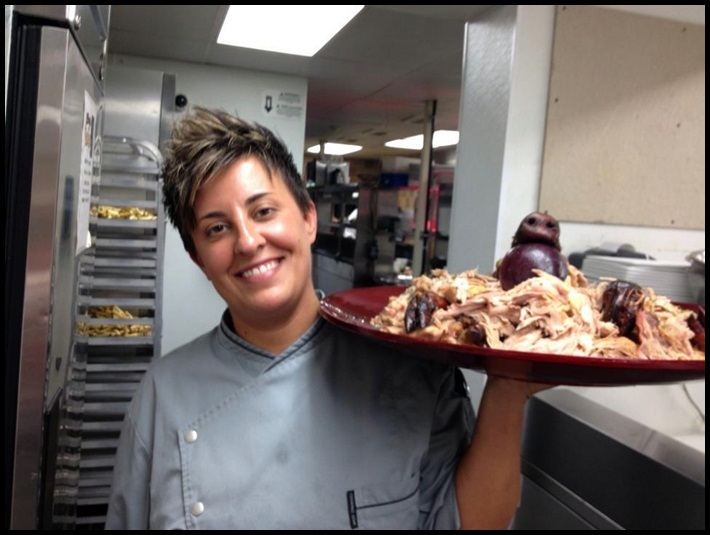 Angie, a recipient of the 2010 Rhode Island Hospitality Chef of the Year Award is very well known from her years as executive chef for the seven restaurants that were owned by the Pinelli Marra Restaurant Group in Rhode Island (four of which she opened.) She was also executive chef at Waterplace restaurant in Providence as well as restaurants in Chicago, Cong and Ireland. I had tasted Angie’s food before so I knew my wife, Jennifer, and I were in for something truly special. Angie and her partner (general manager), Jeanine Iannucci, purchased Blackies Bull Dog Tavern (formally Rocco Italian Osteria). 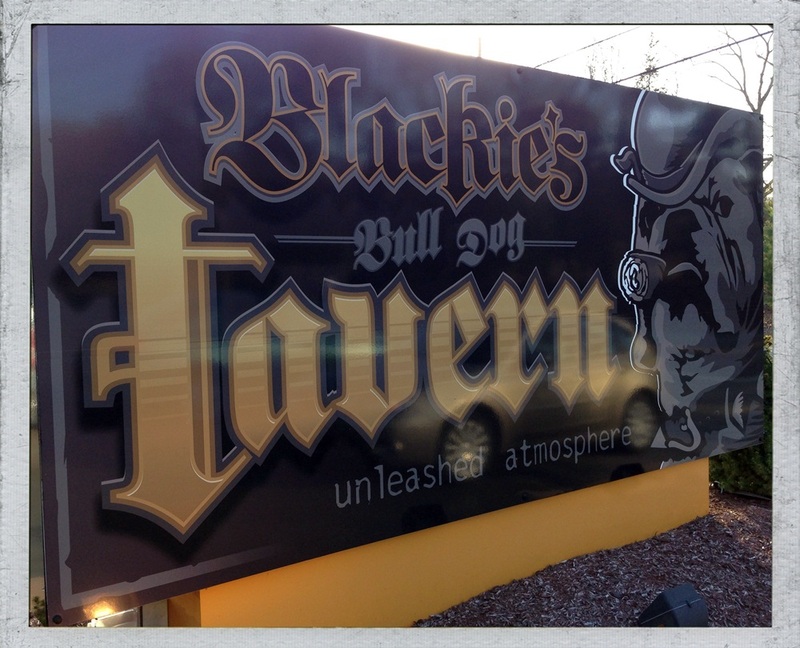 Blackie’s Bull Dog Tavern is located in Smithfield, RI, down the road from Twin Rivers Casino. When we arrived, the parking lot was full! l personally love that as it says A LOT about a restaurant. Blackie’s instantly gives off that “cool vibe” — the type place that makes you look twice as you drive by and then turn around to check out what all the buzz is about. 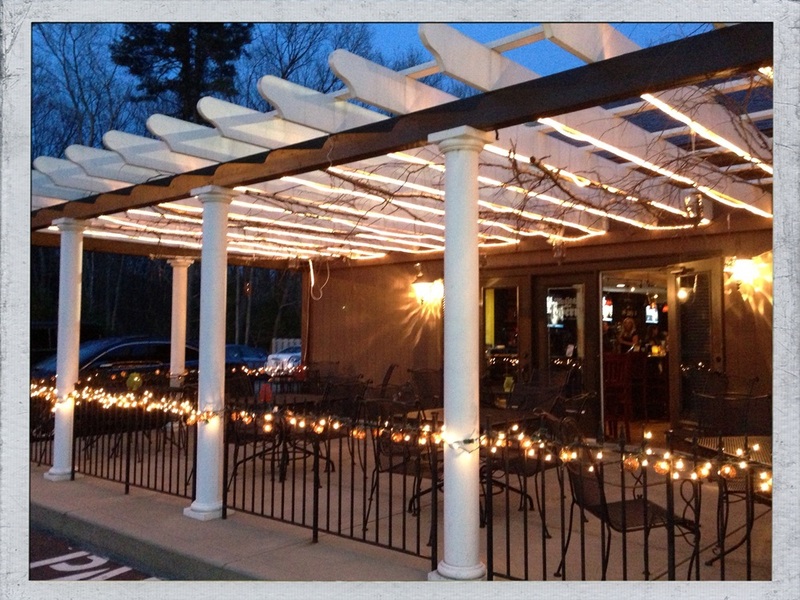 On our walk inside we noticed tons of people enjoying Blackie’s beautiful outside patio since it was a balmy spring evening. The restaurant’s green and black color scheme is vibrant and soothing, and the restaurant’s fun / laid back vibe is prevalent in little touches like their rug with Blackie’s mascot bulldog reading…. EAT, OR BE EATEN. We arrived to a “seat yourself” sign and worked our way through the busy bar area into the main dining area where we were lucky enough to score the last available table. Did I mention this was 5:30 PM on a Tuesday evening? The patio was full. 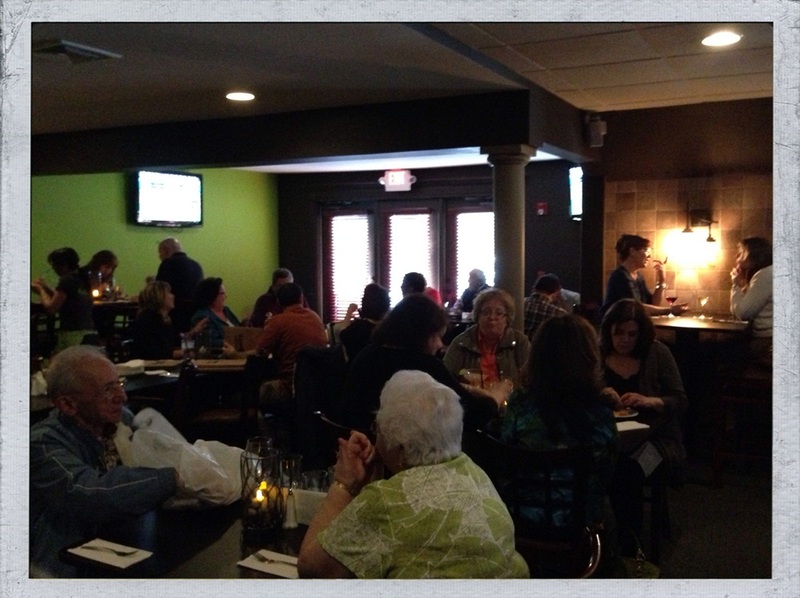 The bar was full and now the main dining area was completely full. 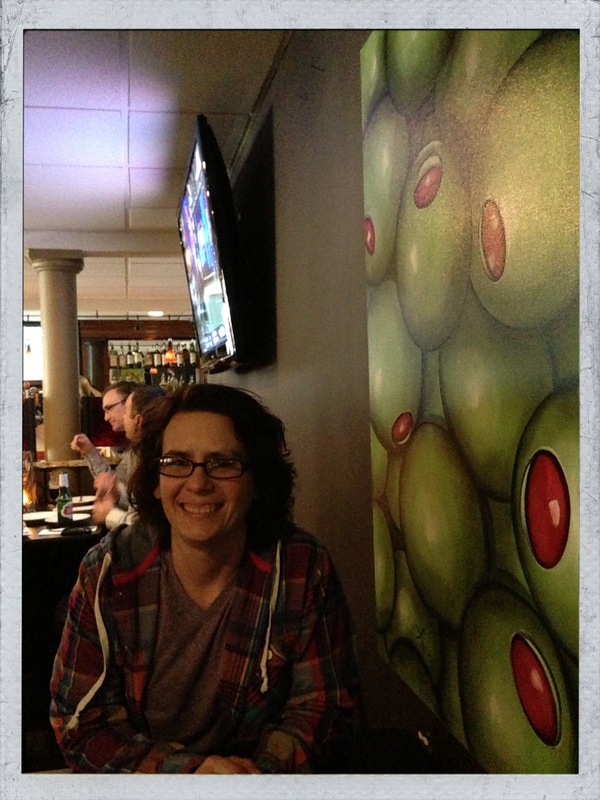 Jen and I soaked in the cool environment and noticed the nice mix of clientele which consisted of the after work crowd, couples, families and what seemed to be regulars. There are lots of TV’s, however, they aren’t overwhelming and the volume is kept low in the dining area (or off). 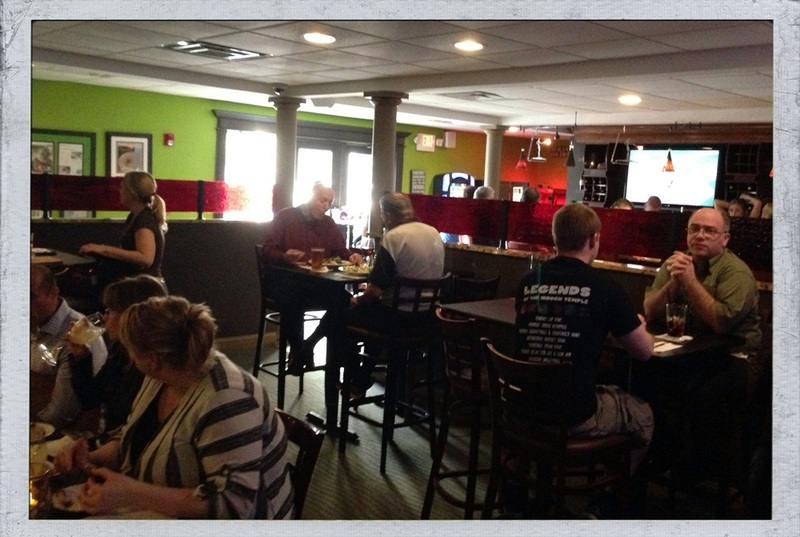 The lighting is soft and soothing and the waitresses, although extremely BUSY, were pleasant and approachable. We were soon greeted by the super friendly general manager, Jeanine, who beamed with pride as I told her how excited I was to be reviewing Angie’s food. She encouraged us to relax and enjoy ourselves, so we did just that! Our waitress, Amanda, was efficient and took great care of Jen and I throughout the night. Now, let’s focus on the food, shall we? 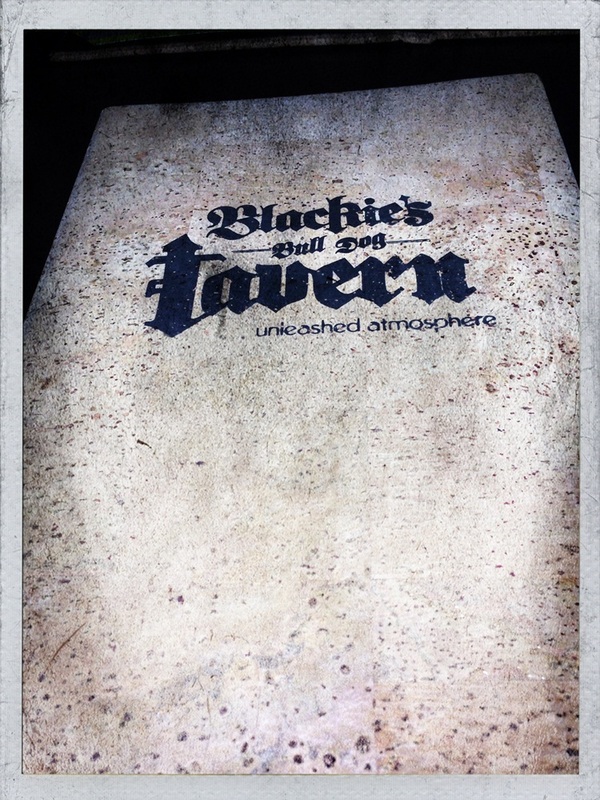 It goes without saying that Blackie’s has one of the most unique menu’s in Rhode Island. It was nearly impossible to narrow our choices down, but we finally did. We didn’t order typical appetizers because we wanted to sample as many main dishes as (physically) possible. For “starters” we ordered The Apple Pie Burger (topped with melted sharp cheddar and local apple compote served with brown sugar maple mayo and crispy bacon served on a pretzel roll) and The Pesto Pizza (homemade fresh basil pesto, blended Italian cheeses, sliced tomatoes & marinated artichoke hearts – finished with fresh basil leaves and drizzled with roasted garlic oil and cracked black pepper and ricotta cheese). I want to apologize from now for not having nearly enough adjectives to describe the immense deliciousness of both of these items. The Apple Pie Burger brought tears to my eyes! A daughter’s love for her mother was prevalent as I miraculously managed to save a quarter of my burger half for her to sample. Now THAT takes willpower my friends! The burger was moist and cooked to well-done (my preference) perfection. The flavors burst in your mouth with each bite and until this day I haven’t shut up about it. I keep waiting for a free evening so that Jennifer and I can head back to Blackie’s and enjoy this burger once again. I am obsessed. 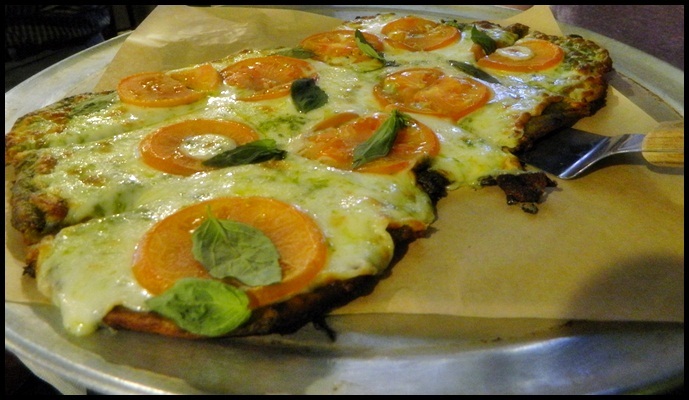 When you bite into a slice of pizza and can taste the absolute freshness of each ingredient and the flavor is matched by the perfect crunch of the dough, well, you have found a slice of heaven. 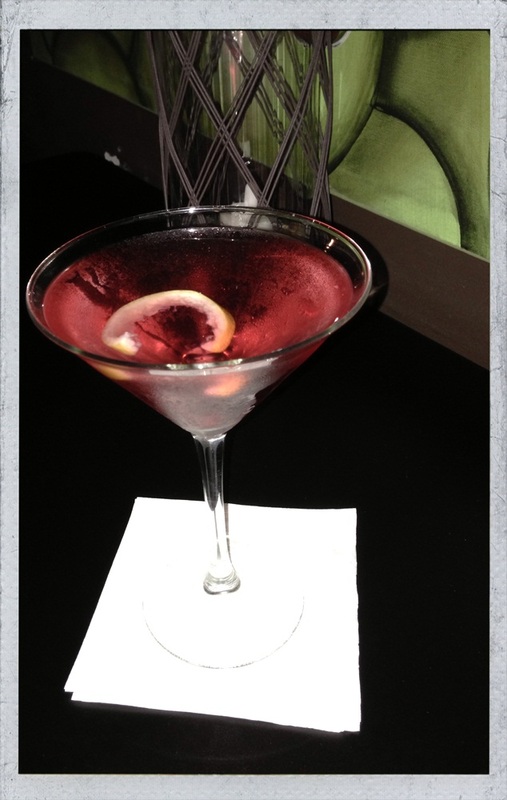 Jen washed her first course down with a signature cocktail, The Pink Lady, Blackie’s twist on a traditional cosmopolitan using St. German liquor. We knew we had to pace ourselves because our “main entrees” were to be served next. 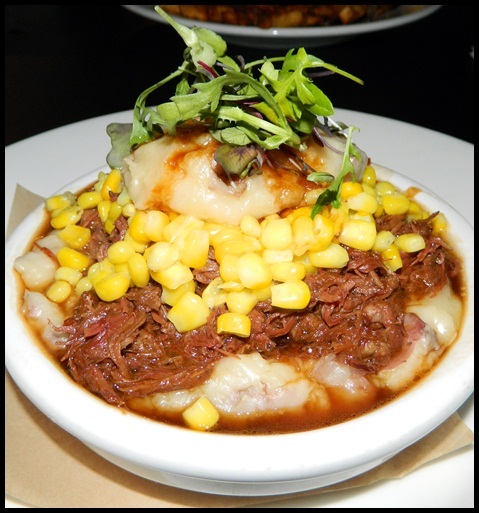 I ordered the Short Ribs Shepards Pie (slowly braised and pulled beef short ribs layered with sharp cheddar and served with red blissed mashed potatoes and buttery sweet corn). 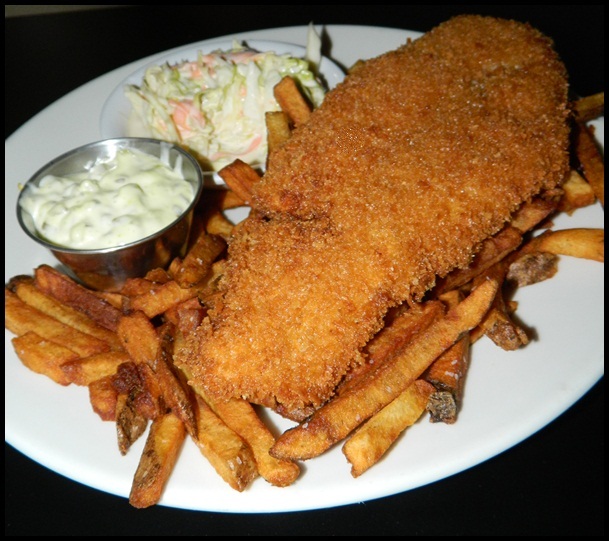 Jennifer order the Fish and Chips (crispy panko friend haddock served with hand-cut fries, cole slaw and classic tarter sauce). Both of us were hit with the “WOW FACTOR” when our entrees arrived. Jen’s fish was so large, you could actually see the shape of it and my Short Ribs Shepards Pie was a work of art! It is times like this I wish I was a food critic and had the poetic ability to put into words the flavors that I experienced. All I can say is the Short Ribs Shepards Pie was unlike anything I have ever had. It was like the Picasso of sherpards pie. Rich flavor that still provided that “comfort food” experience. Jen said the fish was so fresh that it tasted like it was literally just reeled in and prepared. 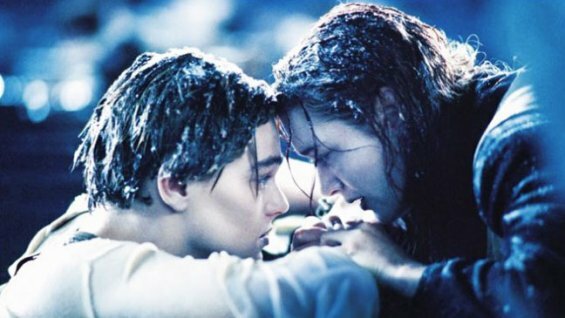 By this point Jen and I felt like the Titanic ship when it hit the iceberg. 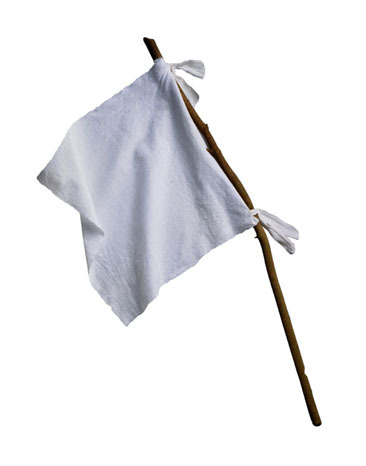 Alas, as the story goes, Jack did…..and so did I.
I had to wave the white flag. As a kid I would say this jokingly, not really knowing what my family meant. As a 36 year old woman, I can say…..I do now. Chef Angie’s food was SO DELICIOUS it gave me a hot flash. No joke. The hot flash hit just as our waitress, Amanda, asked if we wold like to try dessert. Dessert and Italian is a must. If I didn’t order dessert I’d let my culture down (lol) – I HAD TO! Luckily we were able to get the slice of peanut butter cheesecake to go. It made a fantastic (if not guilt ridden) breakfast the next morning, and like everything else we put in our mouths at Blackies, was delicious. 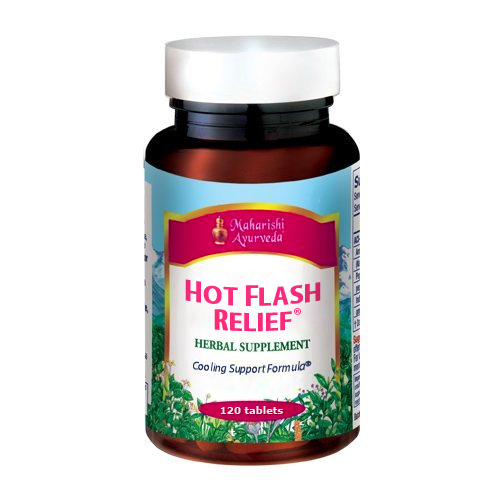 Of course, as the “hot flash” happened charismatic Chef Angie and Jeanine came to our table to see how everything was. Now listen up —- not only was I starstruck meeting this local celebrity chef, I was also about to faint. Like most things, I tried to infuse humor into the situation and was “this close” to asking Chef Angie if she wanted to step outside into the cool spring air or if she had a freezer I could stick my head in! Not wanting to freak her or Jeanine out too much, I managed a few “OH MY GOD’S” and “INCREDIBLE’s” but what I really wanted to tell her was that I admire her and all she has accomplished and that her food is a true work of art and absolutely delicious. Click HERE for Blackie’s entertainment calendar. 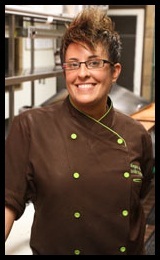 For more information on Chef Angie Armenise click HERE. Blackie’s has an outdoor patio that is open during nice weather. There is also an upstairs lounge area with a bar, pool table and jukebox. 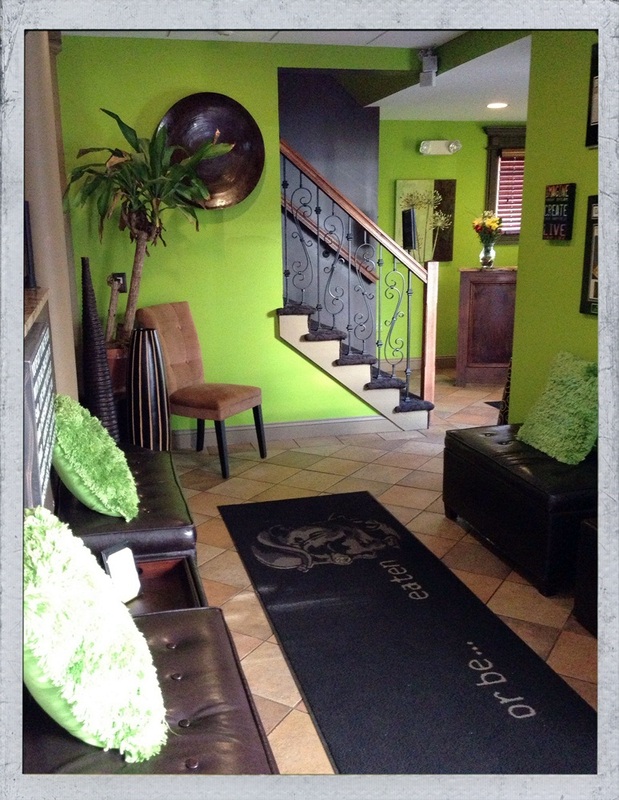 This is great area to rent out for private parties and special events! Click HERE for more info. 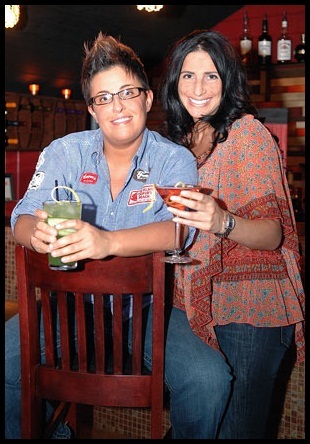 GAY & LESBIAN FACTOR: Blackie’s Bulldog Tavern is owned by executive chef Angie Armenise and her partner Jeanine Iannucci. Both were extremely welcoming to Gay Travel Information and excited to be featured on our site. The atmosphere is electric! It has a modern, youthful vibe with a classy, laid back interior. It is the perfect spot for absolutely everyone! 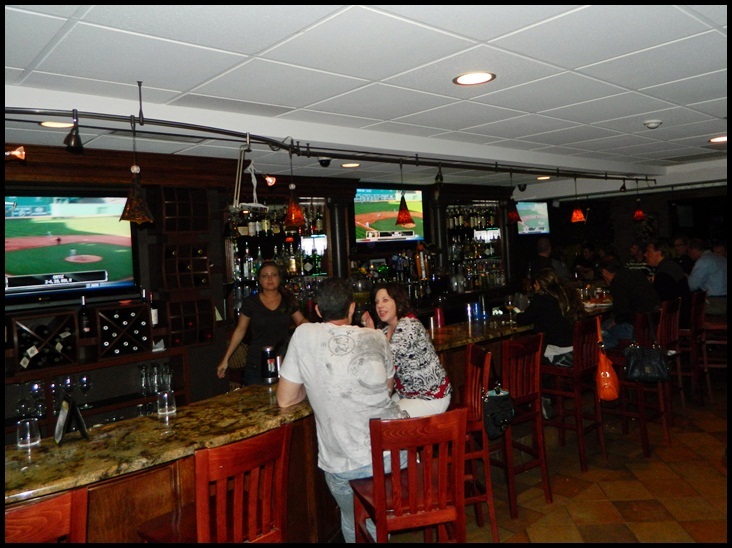 Hang out with your friends on the patio, grab a couple of drinks at the bar, enjoy some of the most amazing food around, play a game of pool in the upstairs lounge or enjoy some live music. Blackie’s has all angles covered. 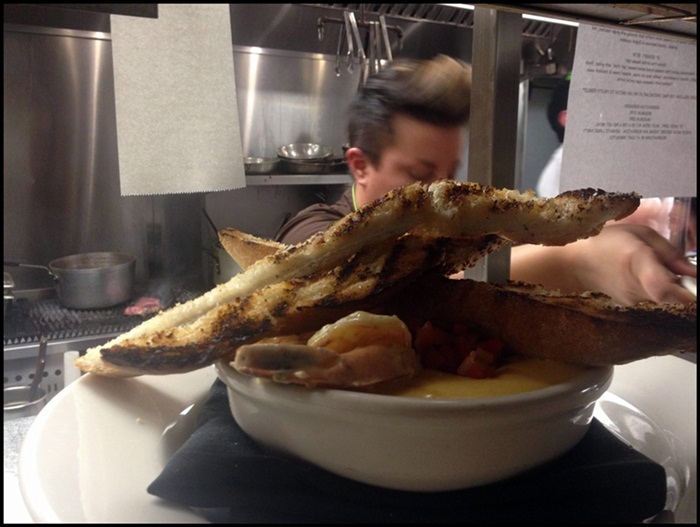 I can honestly say we are LUCKY to have such a fantastic restaurant, and chef for that matter, in Rhode Island. Blackie’s deserves our business for MANY reasons. If you have already been to Blackie’s, you understand. If not – what are you waiting for? You will not be disappointed! I wholeheartedly “OUT” Blackie’s as a Lgbt paradise and worthy of our business. 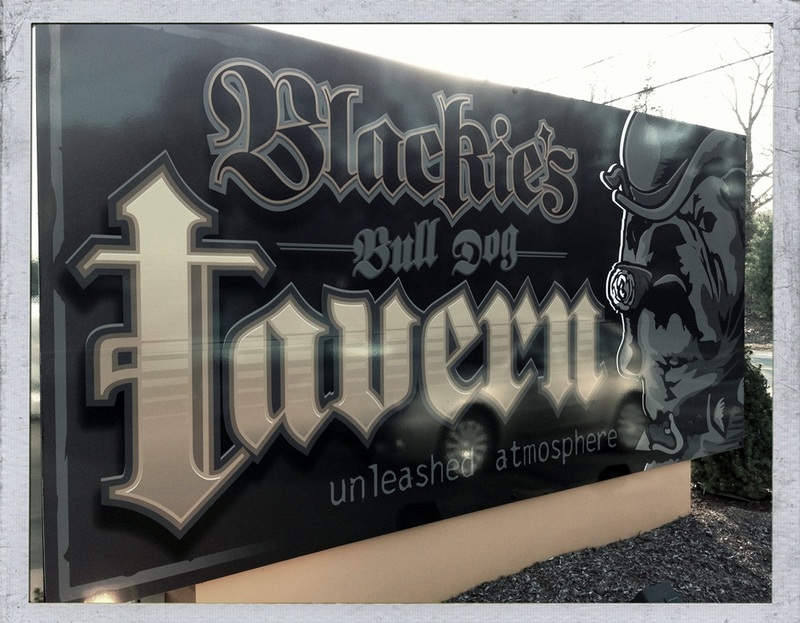 Blackie’s Bulldog Tavern will leave you starstuck. Starstruck over a vibrant interior. Starstuck over top-notch service. Starstruck over the contagious energy. But mostly starstruck over an extremely talented chef and her culinary works of art.